Today I went on a photo walk with a couple of guys from my photography club, Dave and Geoff. 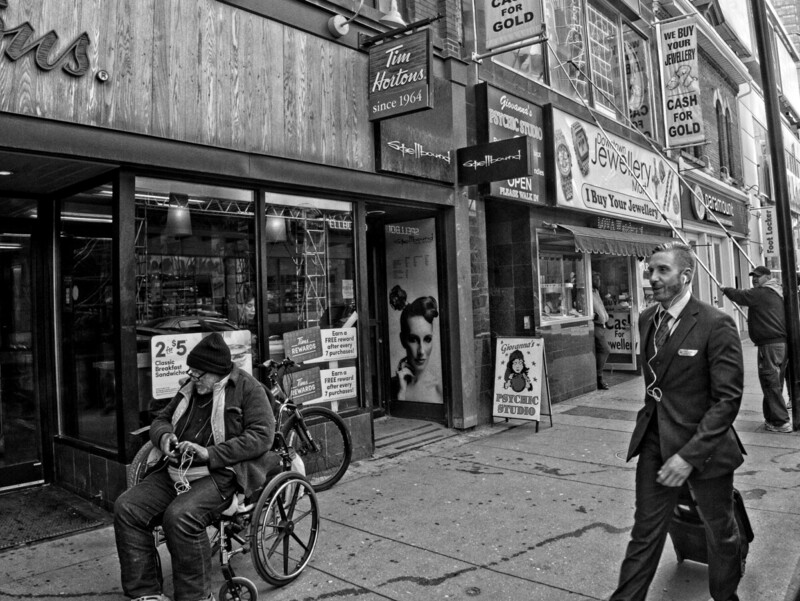 This shot was taken early in our walk as we headed south down Yonge Street from Dundas. I like the window washers in the background and the guy in a business suit contrasting with them obviously in a hurry.